Bloomington, Ind – Dimension Mill’s 2nd Annual INX Pre-Qualification Pitch Event was held on Wednesday, July 25th, 2018. Twelve pitches were presented at the event. Five were chosen to qualify for a trip to Indianapolis. Participants were given seven minutes to pitch their business, and seven minutes for a brief question and answer session led by the judges. The judges for this event were Mark Gramelspacher, EIR at Elevate Ventures;, the state’s venture capital fund Oscar Morales, Founder & Managing Director at VisionTech, the state’s largest angel group; and Teri Willey, Executive Director & Fund Manager at the IU Philanthropic Venture Fund, their new $15mm startup fund. 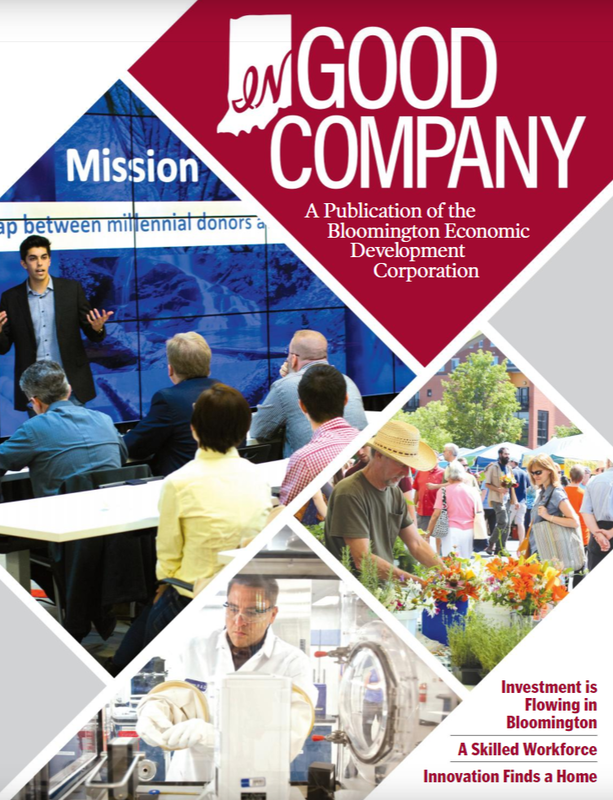 The judges, prominent and respected investors in Indiana’s startup community, were impressed by the wide array of innovative companies that participated, and chose five winners from the twelve participants at the event. The five winners of the event, held at the Hoosier Energy complex in Bloomington, are a diverse set of companies that showcase the immense creativity of the startup community that The Mill plans to grow with its 19,000 square-foot facility, which seeks to be a hub of startup innovation and investment for Bloomington. The winners of the pre-qualification event were diverse in their solutions and showcased the immense amount of talent and innovation that exists within the Bloomington and area communities: Underdog Apparel, a company looking to create unique high-quality apparel for underserved collegiate markets; ShipperTech, which provides a secure solution to buyers and sellers in online marketplaces like Craigslist; The Bee Corp, which provides a unique data-driven solution for growers and beekeepers; Wave Therapeutics, which provides a solution to reduce and eliminate bedsores and discomfort for patients in nursing homes and other medical facilities; and Heliponix, which has developed the GrowPodTM , a device that can grow fresh, organic produce in the convenience of the customer’s home. “This year’s event could not have gone better! Good attendance, 12 solid pitches, smooth logistics, 5 winners instead of 2 last year, the Hoosier Energy venue was world-class and impressive, and the judges were professional investors and their questions, critiques, and coaching were exactly what our startups needed,” said Pat East, Executive Director of The Mill. The Mill is a 19,000 square-foot coworking, community collaboration, and high-potential startup business incubation space scheduled for completion on October 31st, 2018.